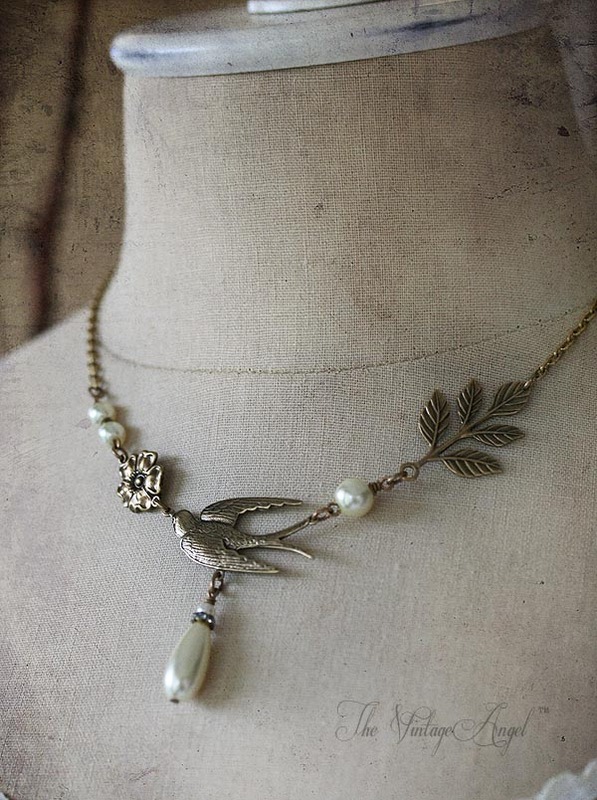 A bird in flight, a branch of leaves, flowers and ivory pearls make up this whimsical, asymmetrical necklace. 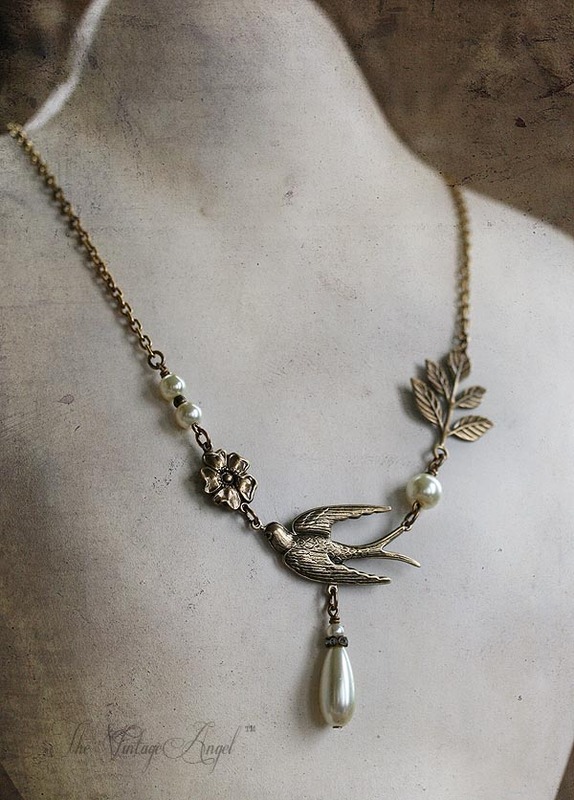 This wearable work of vintage inspired art hangs on a 16" long chain with additional 2" extender. Feel free to request a longer chain if needed at no extra cost. It matches our Meadowlark asymmetrical earrings perfectly if you'd like to grab a pair to make a set. 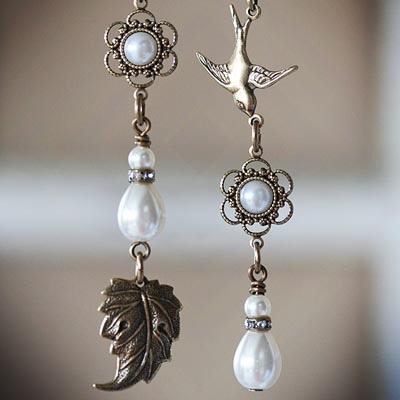 Available in our Asymmetrical Earring gallery. Metal components are American-made brass. 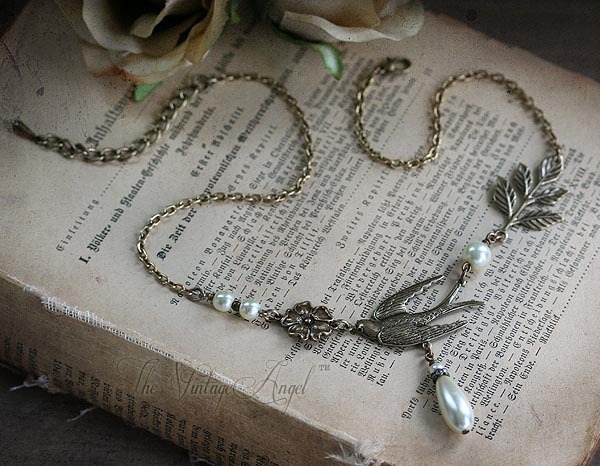 Features an 16" long, dainty chain with lobster clasp closure and 2" extender.